Stand up to ICE in C-U - How you can support undocumented residents! They are coming for our neighbors, for the parents of young U.S. citizens, right here in Champaign County. "Marcos" is a father of four, a husband, and a hard-working breadwinner for his family. He has been our neighbor for more than a decade, and he is also undocumented. He was walking down Main Street in Urbana with his wife and one-year-old when he was approached by two ICE agents in a van. In front of his wife and child, he was taken away by ICE. His family was instantly in crisis, with no income, no information, and no idea how to get him the legal representation he would need, because to them...he just disappeared. This story is not isolated. ICE is active right here, taking away productive members of our community, showing up at their workplaces. Families are suddenly torn apart, children are left adrift, and spouses have no one to turn to for legal help. The Latino Partnership of Champaign County (LPCC) is fighting for these families. 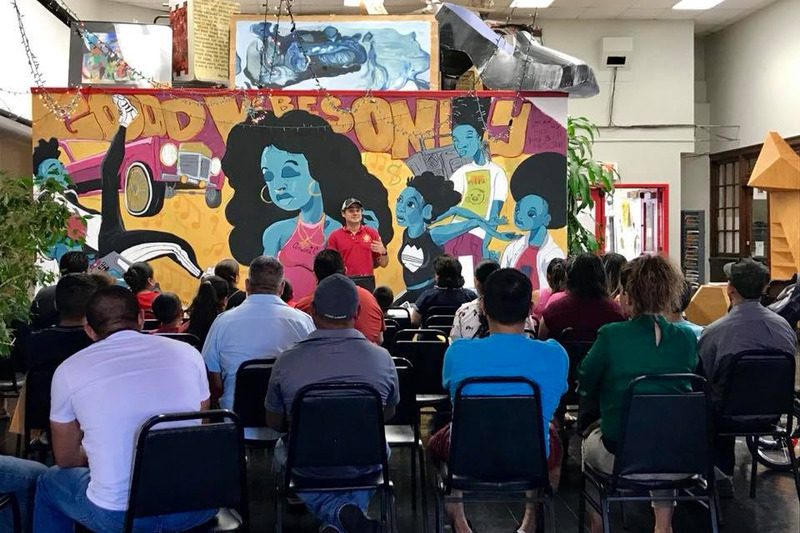 When no one else is there for them, when ICE comes knocking and leaves a family in crisis, LPCC is there with emergency funds for rent and food. LPCC is there to coordinate getting the kids to school and to connect their spouses to trusted legal support. The LPCC originated with and is led by members of the C-U Latino community. They understand the unique needs of these families and can build trust and rapport as no one else can. 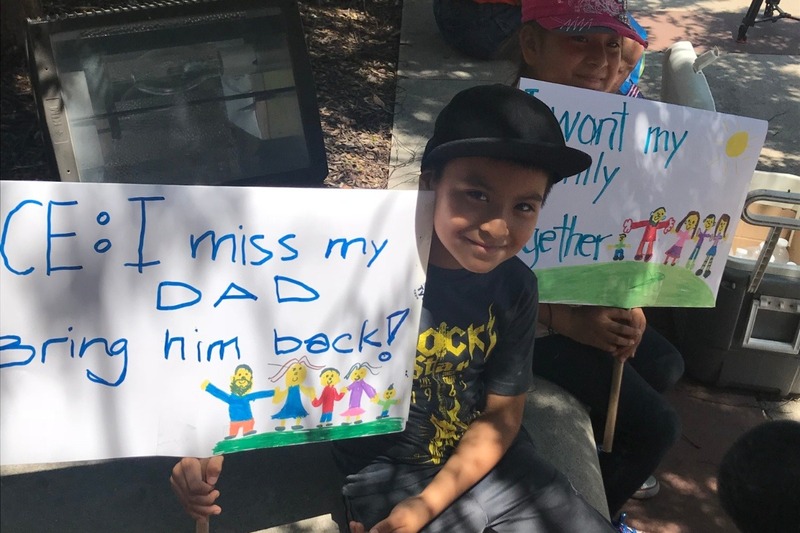 With few resources, the LPCC was there for these families in Summer 2018 when ICE started “disappearing” our undocumented neighbors. Soon they were deluged by requests for this growing community need that shows no signs of slowing. We must stand up to ICE on all fronts – the multiple protests in summer 2018 are an example of concrete action. However, we must ensure there are resources available to aid the growing number of families most greatly and cruelly impacted by ICE activities. We must be allies and support the LPCC in their work. 1. Build an Emergency Fund for undocumented families – When ICE strikes, there is no time to lose, families need immediate assistance with rent, food, and legal fees. These funds will kick off the LPCC Emergency Fund so they can help our neighbors with no delay. 2. Build capacity – The LPCC is run entirely by volunteers. A small portion of monetary donations will go to covering the basic material needs of the organization such as office supplies and website hosting. We need your help. Marching and rallying are not enough. Every member of this community must commit to making real, meaningful change in the lives of those who live in constant fear, who are hungry or unable to care for their children because of the inhumane behavior of law enforcement here in our county. While we march to make politicians aware of our presence, while we organize to prevent further arrests, we must also support those who are already suffering under this regime. Every dime counts and every dollar will go to those who need it most. Thank you so much for donating, sharing, and talking about this campaign. Here we are, friends; the end of this initial fundraiser for the Latino Partnership of Champaign County’s Family Crisis Fund. With your help, we’ve raised an absolutely amazing total of ***$15,427***, both online and in person. The fund has already come in handy reuniting one family, and we are eyeing future needs. You’ve helped us do something amazing, friends. We’ve built a fund that will continue to help families that ICE and this country’s flawed immigration policies have failed…but ICE and those flawed policies aren’t going anywhere any time soon. The money that we’ve raised is just treating a symptom; we also need you to help us eradicate the disease. The Independent Media Center [ https://www.facebook.com/ucimc/ and http://www.ucimc.org/] frequently hosts and supports a number of anti-ICE, pro-migration events and education forums. Keep an eye on their FB page and website for information on MANY progressive local issues. There’s also CU-FAIR, and Bend the Arc, and…well, there’s no shortage of ways to keep fighting. 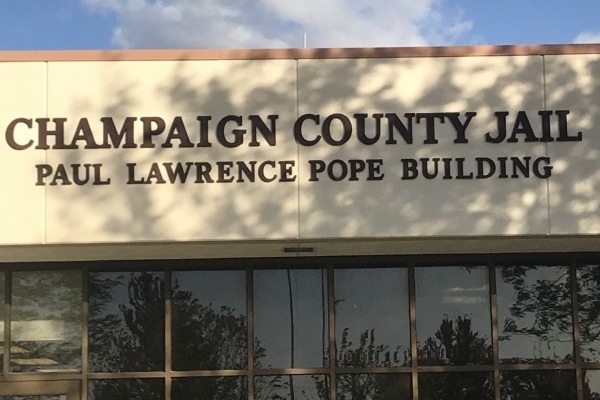 That includes voting for DUSTIN HEUEURMAN (D) for Sheriff; let’s tell the Republican candidate that we’re done with ICE collaborators in Champaign County. Thank you so much for what you’ve done so far, and thanks in advance for all that you’re going to continue to do. We hope that you stay in this fight with us until ICE is dissolved, and until the fundamental truth that human beings migrate is respected more than artificial borders and immoral walls. Take a look, friends, at the first, amazing use of the fund that YOU helped create. After four months in I.C.E. detention in Texas, this little girl from Guatemala is finally back with her mother, and all because of a plane ticket purchased with money you helped to raise. This is the human side of fighting I.C.E. We do it for these moments, and for the day when I.C.E. is no more. Working together as a community, we are making the world a better place. The LPCC Crisis Fund GoFundMe is still live while we sort some technical difficulties regarding our website donation setup, so feel free to continue spreading the word. Now…let’s get back to the fight. Hello, friends and neighbors! As you can see, we kept the fundraiser open a few more days. A flutter of last-minute donations and the fact that we hadn't told you about the Mexican Consulate visit--one of the many services that the LPCC helps to arrange--earlier this year meant we kept it up a little more. You'll hear back from us with totals on Wednesday, and information about how to contribute to the fund after the GoFundMe has officially concluded. This summer, Latino Partnership arranged for a visit from the Mexican Consulate. For the first time the Consulate visited CU twice in one year, a response to the growing fear and anxiety in the community brought on by the “Zero Tolerance” immigration policy of the Trump administration. During the recent visit, 140 people were able to get their papers in order. The Mexican Consulate issues ID cards and passports needed to obtain a driver’s license, a taxpayer ID, a birth certificate, or register children for school. Without the travelling consulate, many of these people would have been unable to take days off from work travel to Chicago, wait in line, and hope for the best in getting the documentation and help they need. Your donations help Latino families pursue proper documentation, remain safe, and provide for their families without having to leave the community. Can you help support our neighbors, and help us to continue to provide this life-changing assistance? Thank you again, all of you, for all you've done to help brace our community for more attacks by I.C.E. Her daddy was picked up by ICE this summer. 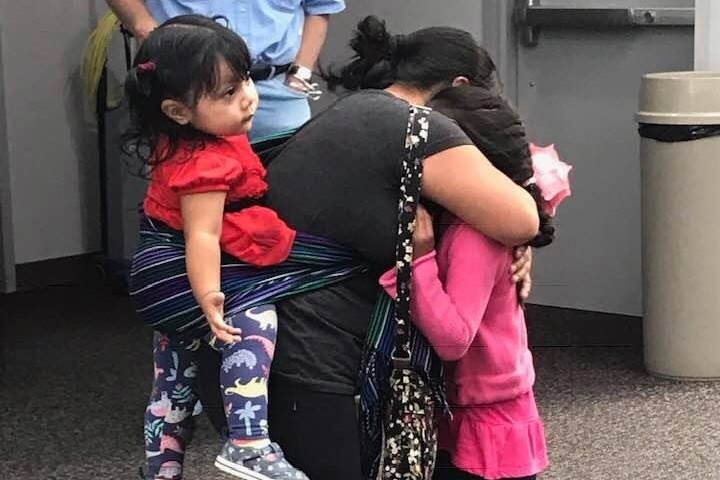 Latino Partnership and allies raised $1,000 and food for her mama and siblings while their breadwinner was at a detention center in Missouri. We helped get her dad out of jail and back home. We also helped get him to an appointment with an attorney in Chicago. In August, this little girl was born at Carle Hospital in Urbana. 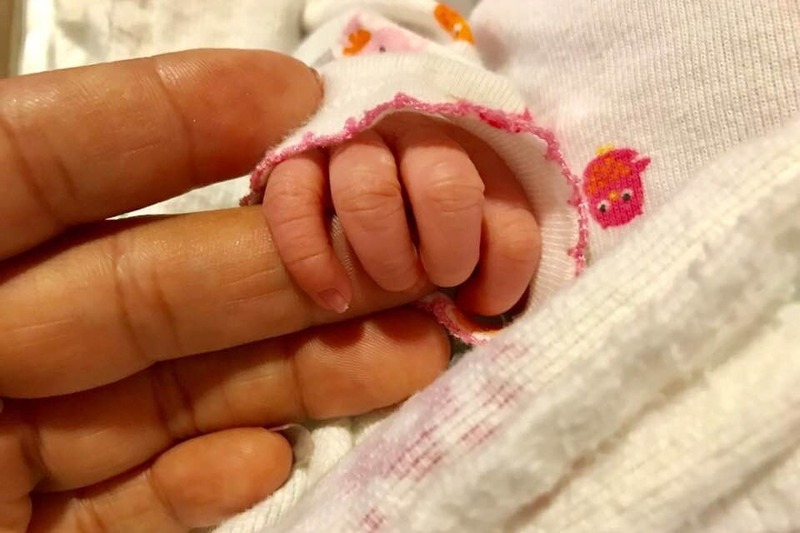 Thanks to those who offered support, her daddy was there to welcome her into this world. She is a precious reminder of hope. This little girl and her family still needs our help. Don’t let ICE take her daddy away from us. Can you donate now to keep this family together? Thanks again for listening, sharing, and showing that this community has had enough of broken families, abductions, and fear. We're done with ICE, but they're not done with us. Donate and share so we can continue to fight their destruction, by helping to fix what they've broken.